all mine! : Where is KDE 5 and when can I use it? The vast majority of users, when talking about "using KDE", are talking about the desktop. Plasma, that is. So when you ask "when will KDE 5 be ready? ", your answer will be that our brand new desktop is already at version 5.1 and making swift progress! Stability is quite good, but there's work to do in the feature area. Distributions don't ship it as default yet. If you ask for 'official packages from my distribution', most distributions, including Fedora, openSUSE and Kubuntu, have had packages since 5.0. The just-released openSUSE 13.2 ships with Plasma 4.11 (the latest and last version in the stable 4 series) as default desktop but has Plasma 5.1 as option, next to GNOME Shell, XFCE and everything else. Kubuntu similarly released with Plasma 4.11 and a tech preview with Plasma 5.1 simultaneously. Both have KDE Applications 4.14.x, as there is no release of the Frameworks based apps yet. openSUSE offers a repo with newer apps but they're unstable as popcorn in an oven. "when will this be default in distributions?" might be your next question. A good estimate is that by Plasma 5.4, to be released in the 2nd quarter next year, distributions will move over to the new series. Kubuntu has already announced they will ship Plasma as default desktop in 15.04 and I expect others with a similar or later release date to follow suit. While progress has been very fast and the team has been focusing on the end user experience, there still are glitches and missing features. Many of the supporting apps and widgets are still being ported or optimized for the new environment. 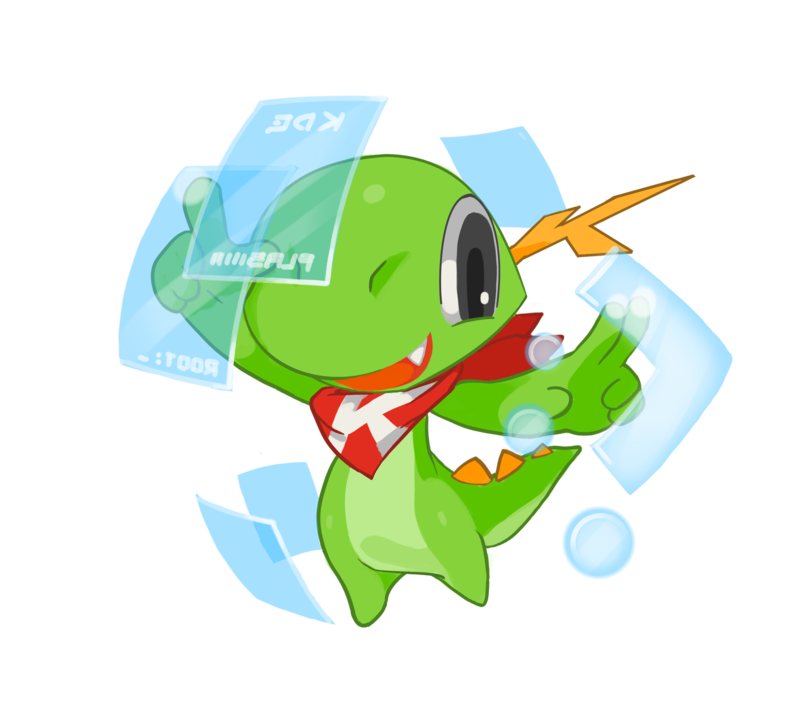 Klipper has seen awesome work by Martin Graßlin with help from the new KDE design team, work on KMix is in progress and things like HiDPI support aren't entirely fleshed out yet either. I'd recommend moving over your work desktop or laptop for 5.4. Until then, help test and improve it to make sure it is ready for you! Use the experimental packages for openSUSE or Kubuntu for testing, or build your own. This is a good time to get involved as there are plenty of relatively simple yet very impact-full tasks waiting for volunteers! What is KDE 5 and why do you call it 'Plasma'? To talk about something you have to define it, and I realize that that is a a bit more complicated than it used to be. In July I blogged about the disappearance of the 'software compilation'. That term was introduced after we re-branded KDE to no longer be the product we made, but the people who made it. To understand the relation, compare KDE to another organization which creates (among other things) software: Microsoft. Like KDE, they create products and technologies like Office (KDE makes Calligra), Windows (KDE develops Plasma), .NET (KDE releases Frameworks), C# (KDE uses C++). Nobody confuses Microsoft Office with Microsoft 8.1 so this should be easy enough, I hope! It confused many users about what was needed to run KDE applications. Could you only run Amarok in KDE? Did you have to install all of KDE to use Krita? For advanced users, these are simple to answer, but on user forums they kept coming up and you'd hear users at conferences tell you they never tried Krita because they did not like KDE (meaning the desktop). The KDE 4.0 release had been a disaster in part because we released all its components at the same time, while not all were of the same quality. Many of the applications had been ported almost a year before and were quite mature, while especially Plasma, the desktop, had undergone a serious rewrite and simply wasn't ready. Today things are different. While the libraries (KDE Frameworks) are currently at version 5.4 (released monthly), Plasma is at 5.2 (released every 3 months) and the KDE Applications are at 4.14. The latter will release soon with a date-based name, as it is build on a mix of the 4.x series and the 5.x series of our libraries so a common version number just doesn't work. You might ask next: "what version of what goes with what?" - a fair question. Luckily, the distributions will mostly deal with these dependency questions for you! Still, if you want, here is an overview of how the relations currently are. Frameworks releases monthly, combining bug fixes and (small) features. You can use the latest, stability is very important for the Frameworks team and it should be perfectly safe. Of course, this introduces a bit of an issue for distributions, which often don't want to mix feature- and bugfix releases. I'm not sure how they will deal with this. The backwards compatibility of Frameworks should allow updating them like bug fixes, but we'll have to see who does what. Plasma releases every 3 months and usually depends on the latest or latest -1 version of Frameworks at release time. It will work just fine with versions newer than what it depends on as minimum. Applications is still in the 4.x series, but many applications are already ported to Frameworks and the first release (14.12) will come next month. The numbering will be year.month, so if the next release comes 4 months later, it will be 15.4. They, too, will probably require latest or latest -1 version of Frameworks when released. As of today, most distributions stick with the latest version of Plasma in the 4.x series (that is 4.11) and the latest version of KDELibs in the 4.x series, 4.14 (technically 4.9 but the numbers have been kept in line with Applications to keep things simpler). if you want a stable system, stay on Plasma 4.11 with KDELibs and Applications 4.14 for now. If you want to try out the new tech, try Plasma 5.2, which depends on Frameworks 5.3. With Applications 4.14 - no newer release is out yet, but openSUSE offers regular git checkouts and they have been working quite well for me personally. Find instructions here. The 4.x series has already been split up. If you run "KDE 4.14", you don't. The last official Platform release is 4.9 and Plasma is at 4.11. Only the applications have continued to release, and speeding up their release cycle, while the Platform has seen increasing version numbers to keep packaging easy. openSUSE 13.2 out: PARTY time!